Sending MIDI to multiple devices should be simple! A thru-chain can add latency and you can't easily swap devices about during a performance, but a MIDI interface with multiple outputs can be expensive. BANANA SPLIT is a simple, compact and cost effective solution for splitting a single MIDI input to six parallel MIDI outputs which can be "hot swapped" without impacting each other and offers near-zero latency on the MIDI signal. 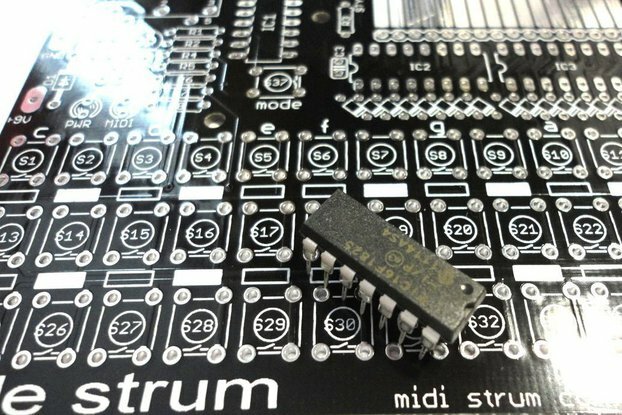 The MIDI input is optically isolated, per MIDI-spec and each output is electrically buffered and protected with current limiting resistors. MIDI IN connection can be made via a 3.5mm stereo jack socket as an alternative to the 5-pin MIDI input (do not try to use both inputs at the same time!). It works with a MIDI jack connections that use a "hot tip" (Novation, Arturia and others) - just use a stereo 3.5mm jack to jack cable connect up. Unfortunately Korg do not follow this standard, but you can use a lead which crosses over tip and ring, or just use the 5 pin socket to receive MIDI from Korg gear. All MIDI OUTs are 5-pin sockets. The enclosure is laser-cut from 3mm translucent black acrylic sheet with yellow/black laser-engraved acrylic laminate face plate and frosted black acrylic end pieces. Power is via a 2.1mm barrel connector as used on most "wall wart" type adaptors and standard on most stomp-boxes. An on-board diode bridge and voltage regulator mean that it will work with center positive or negative supply, and at any input voltage from 9-12V. Power supply not included! Integral LED's indicate power supply, clock beat and activity on the MIDI input socket. 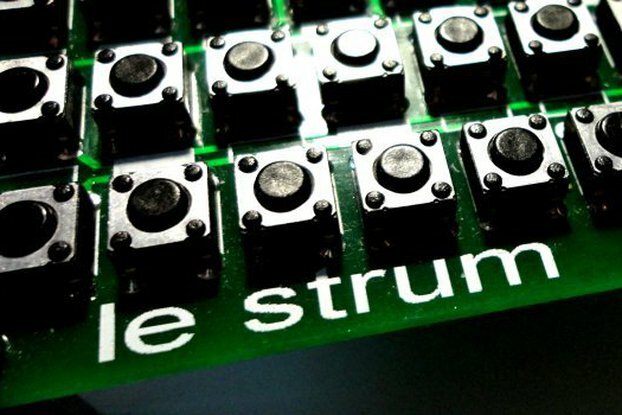 Add to this the 5-Pin MIDI sockets for input and six outputs and that's pretty much it... It does what it says on the skin! All connections are via the front panel and can be accessed when the device is held (for example) in flight case foam or inset into a panel in a studio. Great service, arrived very quickly within a couple of days, great device, thank you very much for making me one happy customer!